CPAP & Central Sleep Apnea have a close relationship with each other. 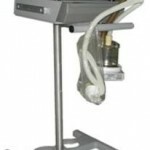 CPAP is the current best method used to control Central Sleep Apnea i.e. CPAP therapy can be used for years to keep the apneas away, but it will not cure the apneas; when you stop using CPAP your apneas will return. CPAP Therapy involves the pumping of pressurized air into your throat to keep it from closing when you sleep. An apnea occurs in central sleep apnea when your brain fails to send the necessary signals to the muscles in the throat; this causes the airway to collapse, which results in you not breathing. Continuous Positive Airway Pressure Therapy will use the pressurized air to keep your throat open throughout the night, thus allowing you to breathe freely and smoothly. 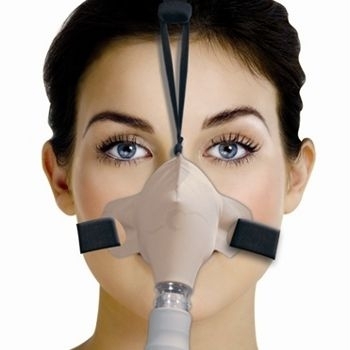 The pressurized air will be created in a CPAP machine which will then pump the air through a hose and CPAP mask through your mouth or nose into your air passageway. 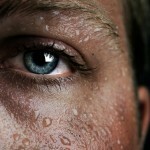 While this therapy will keep the apneas away and control Central Sleep Apnea, it cannot cure it. 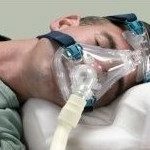 Why CPAP cannot Cure Central Sleep Apnea? As stated above, Central Sleep Apnea is a problem in the brain and it can be caused because of a number of reasons. So CPAP can only keep the apneas away, it cannot cure the problem. Curing Central Sleep Apnea will involve finding the root cause behind the problem and obviating it; this root cause can be anything from another medical condition to side effects from a drug. If you find yourself suffering from this medical condition i.e. one of your loved ones state that you make a lot of noise while you sleep or if you are tired and exhausted throughout the day even though you got a good night’s sleep, contact your doctor or a sleep specialist immediately. A simple polysomnograph will show if you have central sleep apnea or not; earlier the treatment, the better since this condition will cause a number of dangerous secondary medical conditions which in rare cases even includes death.